The real estate industry has a reputation for being less than honest, and maintaining extortionate commissions. While this image has been established over many years of interaction between buyers, sellers, and real estate agents, the introduction of web-based marketing, and Web 2.0 networking to the world of real estate has brought with it great scope for change. The potential for a different type of interaction between agents, buyers and sellers can only be fully harnessed if agents can be accurate in their written English, and use it to their advantage. 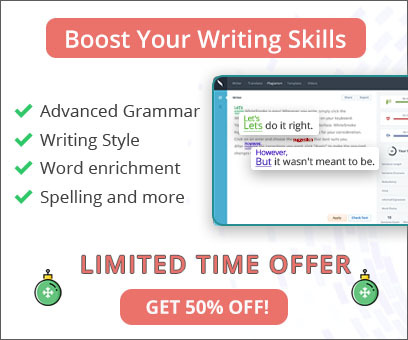 Being a great writer with perfect grammar and an appealing writing style can mean your success when contributing to real estate blogs, or using other web-based marketing techniques. If you feel less than confident in your English writing capabilities, WhiteSmoke can help turn your plain sentences into perfect English. What advantages does the text heavy Web 2.0 world have to offer the real estate agent seeking to expand his/her business? First, let's consider property descriptions. Internet listings, real estate blogs and social networks considerably broaden the scope for writing compelling property descriptions, but you must have a good command of English vocabulary (and a very good dictionary-thesaurus) to do this well. Persuasive writing will often employ effective adverbs and adjectives, as well as synonyms of some key words for variety. 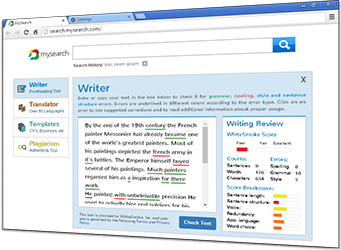 WhiteSmoke's text enrichment will help you achieve quality property descriptions with ease. The house has a balcony with a view. Enjoy glorious sunsets over Sundown Lake from your magnificent balcony. The living area has a fireplace. The cozy family room has a large 19th century brick fireplace creating an inviting ambience throughout the cold winter. The use of adjectives in the above examples helps convey a more inviting picture of the property's features. With fewer restrictions on the space you have to convey the character of a property, you can create a stronger picture to interest a potential customer. Be careful, however, as without correct English grammar and spelling, an attempt to be more descriptive could actually have a negative effect on your professional image if there are careless grammar errors. Always be direct and honest in your writing. People are no longer influenced by marketing jargon, and actually find it a put-off. Present yourself openly. Refrain from negativity. Remember, the customer is always right! This phrase still rings true today, and should be adhered to when regularly conversing with customers and potential customers online. Give more. Try to exceed your customer's expectations. Internet marketing is all about creating a buzz for your products and services, and this is largely driven by customer feedback. Pay close attention to the message you are trying to convey, and whether your writing style is an aid to this. Proofread, proofread, proofread. Before you submit your text to the web, do a check with a grammar software program such as WhiteSmoke. Keep your image professional by consistently writing content that is clear and free of errors.